Youngsters, the teens usually have high levels of muscle building hormones which include growth hormones and testosterone. Muscle building is just a mere matter of attempting a stimulating workout and intake of enough nutrition so as for muscle repair. Youngsters usually chase for muscle building diet plans but in fact some teens already have naturally fast metabolism, it simply means that they need to intake plenty of food so as to trigger their growth. The very first thing you need to do is to get a checkup. If you have any health issues or are new to exercise, you need to have an exam by your doctor. Starting on to get bigger muscles, you need to focus on the basics and skipping the shortcuts. You need to spend your energy in working out and eating healthy without any chasing for fancy supplements. Avoid using steroids which further can cause damage to the body in the long run. Before starting, you need to build up a solid core program rather than trying out different weight-lifting programs. The basic core program includes bench press, squats, deadlift and shoulder press. After being master in these, you can add some more complex lifts to it. You need to have enough calories for growth and performance. Your body produces a muscle-building hormone i.e. insulin. Insulin helps in soaking up the sugar, proteins and other things which help in building up of the muscles. In order to save it you need to intake the following foods within 30 minutes of your workout. Here we are with muscle building diet plan for youngsters. They need to follow up these according to their body and growth. A diet with high proteins and high carbohydrates gives enough nutrition to the body so as to gain muscle mass. 1 ½ or 2 grams of proteins per pound provides amino acids for muscle recovery and growth. This includes chicken, turkey, eggs and whey protein. 1 ½ or 2 grams of carbohydrates per pound provides enough nutrients to the body for energy and muscle recovery. Moderate carbohydrates must be included in the muscle diet plan of those teens who participate in sports like wrestling or any endurance training. Carbohydrates provide sufficient energy to the body but overeating lead to body fat gain. 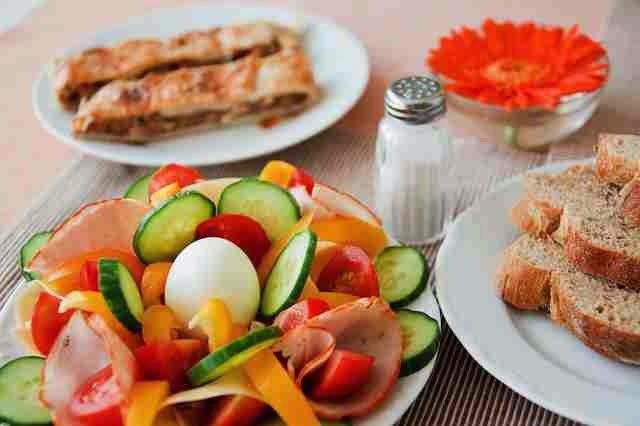 Following high-protein diet for about 2 weeks, you can now have a protein deprivation diet. Cycling your diet in this way will help in cleansing your body of toxins and even helps in muscle gain. After 3 weeks of protein deprivation diet again switch to high-protein diet. You can repeat the cycles after every 3 weeks or two. So this the muscle building diet plans for youngsters according to their growth and hormones. They must follow it regularly so as to build up their muscles. Hope this guide helped you a lot. Please enlighten us with your views.